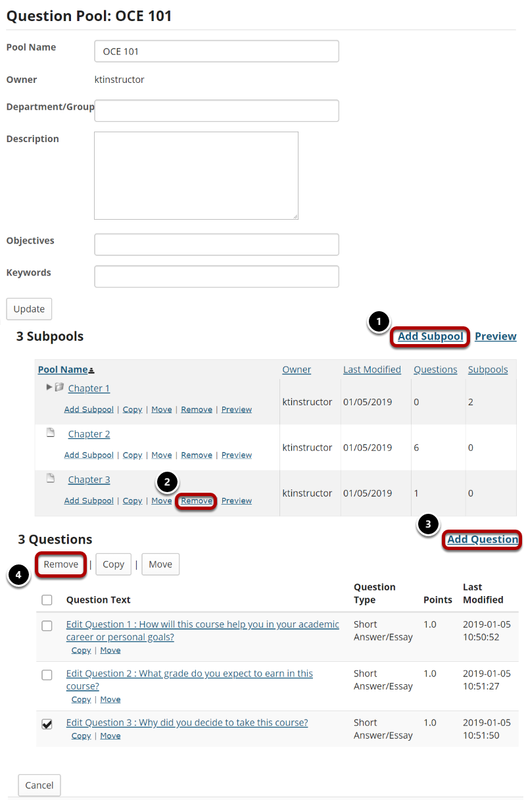 Sakai Community DocumentationSakai 19 User Guide (English) Tests and QuizzesWhat is a question pool? Here we see a question pool (e.g. OCE 101) that contains three questions at the top level and also subpools for Chapters 1, 2, and 3. Chapter 1 also has two subpools of its own (Multiple Choice and Short Answer/Essay). 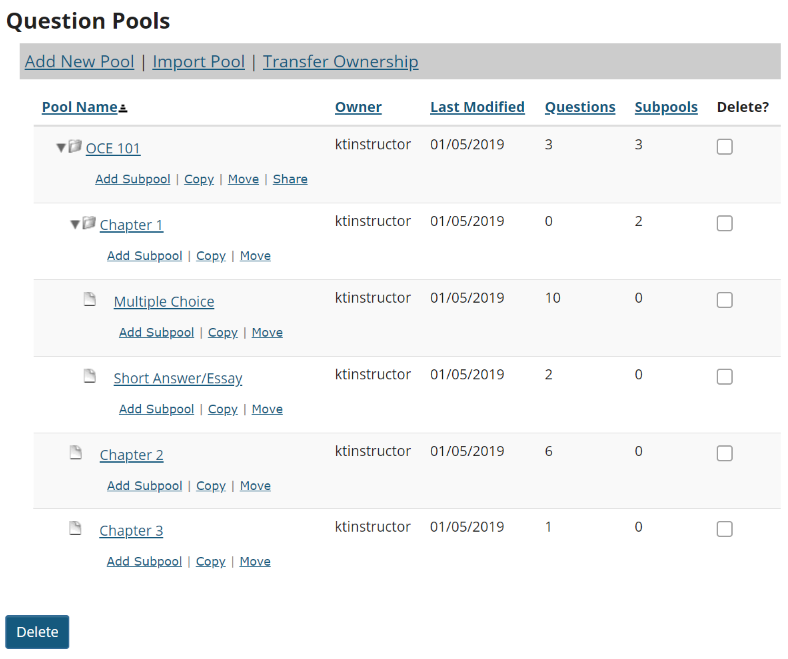 Clicking on the name of the pool, in this case OCE 101, shows its subpools and questions.